For the opening old bird race of 2019 the weather was the main concern and a lot of lofts decided to not take any chances and wait for better conditions. It was cold and windy and the Easterly wind was the last thing the local fanciers were looking for. The conditions did not deter the lofts in Derry City, who were always the favourites to be best placed, and that’s how it turned out with all the top NIPA Open positions. It was interesting to note the top two birds were both 4 year old, how often do you get that when yearlings would tend to dominate. 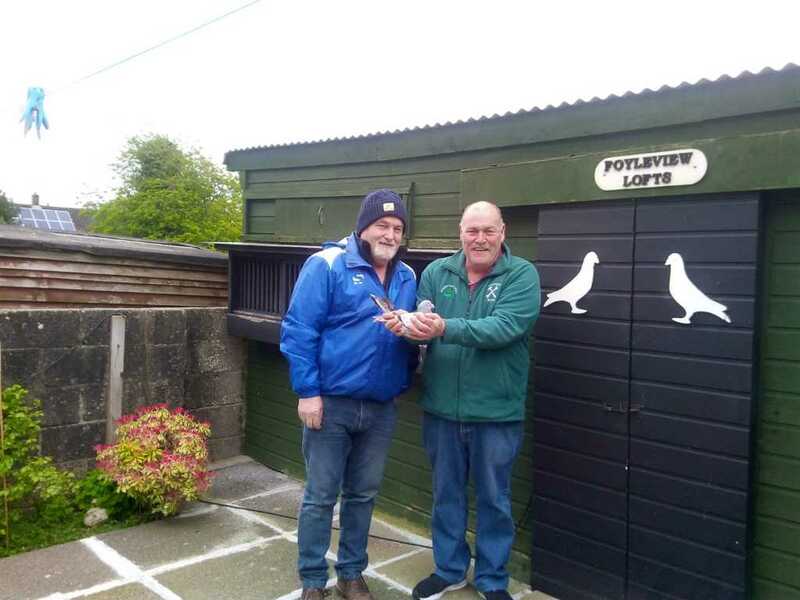 Coyle Bros of the Maiden City topped the NIPA on velocity 1818 with a bird bred from a pair of Soontjen’s supplied by Matt Wray of Harryville, and he himself will be pleased with that. Runner-up was Raymond McAteer who had 1st Strabane & District. NIPA Open Mullingar 515/11,294 – 1-1H Coyle Bros Maiden City 1818, 2-2H R McAteer Strabane 1808, 3-3H L Flanagan & Son Londonderry 1803, 4-4H A McCrudden Derry & Dist 1799, 5-5H L Flanagan & Son 1792, 6-6H F Ramsey Maiden City 1790, 7-7H N & C Doherty Amelia Earhart 1790, 8-8H R & G Martin Maiden City 1789, 9-9H P McLaughlin Maiden City 1788, 10-10H P & M Healy Maiden City 1788, 11-11H R McBride R McBride Strabane 1779, 12-12H L Flanagan & Son 1778, 13-13H Concannon Bros Maiden City 1774, 14-14H D W Lofts Foyle 1771, 15-15H J Ramsey & Son Derry & Dist 1771, 16-16H R Lyle Maiden City 1767, 17-17H Concannon Bros 1765, 18-18H W McCloskey Amelia Earhart 1765, 19-19H W McCloskey 1765, 20-20H T Rodgers Maiden City 1763. Section A 40/1108 – R Montgomery Coleraine Prem 1728, J L Madden Coleraine Prem 1714, D Coyle & Son Coleraine Prem 1710. Section B 82/1930 – T & J McDonald Coleraine Prem 1698, K Glass Windsor Social 1668, J & M Milliken Rasharkin 1665. Section C 111/1854 – Crawford & Robinson Larne & Dist 1519, Crawford & Robinson 1518, R Mills & Son Larne & Dist 1517. Section D 64/1481 – I Gibb & Sons Glenavy 1482, I Gibb & Sons 1477, G & S Owens Colin 1474. Section E 87/2312 – Mariusz Pawlak Dungannon 1666, K Allister Monaghan 1619, Cooney Bros Monaghan 1596. Section F 20-389 – Muckle & McCormick Ards 1373, P Murray Killyleagh & Dist 1350, D Grieves Killyleagh & Dist 1349. Section G 34/892 – G McBride & Son Drumnavaddy 1488, A Feeney & Son Gilford 1477, R Adamson Lurgan Soc 1462. Section H 77/1328 – Coyle Bros Maiden City 1818, R McAteer Strabane 1808, L Flanagan & Son Londonderry 1803.